We love our home state and try to celebrate its history and our heritage in as many ways as possible at the farm. The addition of a bison herd was one of these ways. These magnificent creatures represent the bison that were a natural part of the state’s fauna centuries ago. The first bison arrived at Orr farm in March 2007: two cows, two calves, and two bulls. Since that time, the herd has grown and we’ve learned a lot about being caretakers of these hulking yet skittish beasts! Our bison add a lot of character to the farm. Whether visitors are picking berries, enjoying a Bluegrass Weekend, or roaming the market, they’re sure to notice our big, burly residents. Some prefer to take a peek from afar, while others want to get as close as possible—which isn’t very close, mind you. Bison are notoriously shy, and they can be aggressive. So while we want our visitors to enjoy the herd, we do ask that you keep a safe distance. In addition to being fun to look at, the bison at the farm serve a practical purpose, one we take seriously and go about with care and humanity. The bison provide us with meat, which is processed locally and returned to the farm to be sold in the market in the form of sticks, jerky, steaks, bologna, sausage, hot dogs, and burger. Having a healthy bison herd as part of our farm means a lot to us. We hope our visitors appreciate the West Virginia heritage they represent and enjoy the foods they provide. So now you know more about our herd and their place in West Virginia history. Next time you’re at the farm, or if it’s your first time, make sure to take a gander at our furry friends behind the fence! The word family means a lot to us at Orr Farm Market. After all, it’s why we’re here. The farm and market you know today grew from a 60-acre orchard purchased in 1954 by George S. Orr Jr. After his passing, his wife, children, and grandchildren took over operations and helped guide the business to even more growth. We couldn’t be more proud of what our business has become: a thriving source of local commerce and a place of community gathering. For the Orr family, running the farm and market is the only thing we can imagine doing. It brings together our love of the land, agriculture, and our community. Of course, there’s also “serious business” to take care of, and we do that pretty well too. We enjoy the opportunity to come together to discuss new ideas, celebrate successes, and solve problems. Throughout the years, we have each developed special areas of interest and experience that we apply to different aspects of the business. Running a family business comes with unique challenges. We manage it with a few core values. One of our priorities is to treat employees and family the same. That helps maintain a positive environment for everyone. We also try to keep separate our personal and business interactions. It can get tricky at times, but for us, the benefits of running a family business are greater than the hurdles it presents. Be organized. When there are multiple opinions tossed around without structure, nothing gets accomplished. Select a business model that allows productivity. Put it in writing. When business decisions are spelled out clearly, it helps prevent confusion. Use constructive criticism. Interact with each other as businesspeople, not as family members. This country is packed full of family-run businesses. Each has its unique story of how it began. Some businesses start by accident, while others are a product of long-held dreams. While family-run businesses differ wildly in size and services, they have in common the bond of family at the helm. We plan to keep passing down our experience and our love of farming to every generation of the Orr family. We hope you and yours stay along for the ride! Question: What fruit looks like a giant smile when sliced and is the envy of bubble gum? August might be the last month of summer, but it’s the beginning of watermelon season, and that’s something to smile about. Our watermelon harvest will be ready soon, and coinciding with it is National Watermelon Day on August 3. 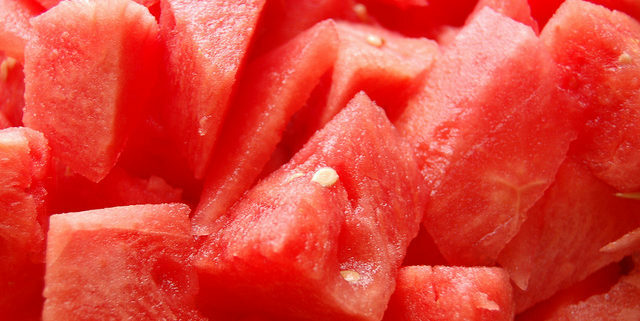 Although here at Orr’s we love all fruits, we have to admit that the watermelon is the ultimate symbol of summertime. With that grassy-green skin and hot-pink flesh, it just looks like summer. Is there any other fruit with such a satisfying blend of taste and texture? And then there are the seeds—we’ve all enjoyed shooting a mouthful, haven’t we. Maybe even as adults! To celebrate National Watermelon Day, check out some fast facts about our favorite rotund refresher. At 91.5% water, it’s an excellent source of natural hydration. A one-cup serving contains more of the super antioxidant lycopene than a large tomato. Low sodium content makes it a healthy choice that won’t negatively affect blood pressure. Citrulline, an amino acid concentrated in the rind, is related to improved artery function and lower blood pressure. From June through August, water is the name of the game. We drink tons of it, play in it, and cool off with it. With water in its name, this melon is primed to be the spokesperson for summer. Come on out to the farm and pick one up—with two hands and a little help if you need! In the meantime, we dug up two funky watermelon recipes you have to try before summer’s end. First blend your 3 cups watermelon until pureed. In a large bowl combine your watermelon puree with the diced watermelon, tomatoes, cucumber, bell pepper, corn, onion, ginger, and jalapeno. Add lime juice, sea salt, and fresh cracked pepper to taste. Adding more of each as needed. Have we said this enough? We love summer! Here at the farm, we try to pack as many good times as possible into three months. We want our visitors to think of Orr’s Farm as not only a place to get fresh, local produce, but also a place to spend quality time with friends and family. One of our favorite ways to bring people together is our Bluegrass Weekends. The last weekend of every month from May through October, Ernie Bradley and The Grassy Ridge Band and Friends will be here to play traditional bluegrass and originals. 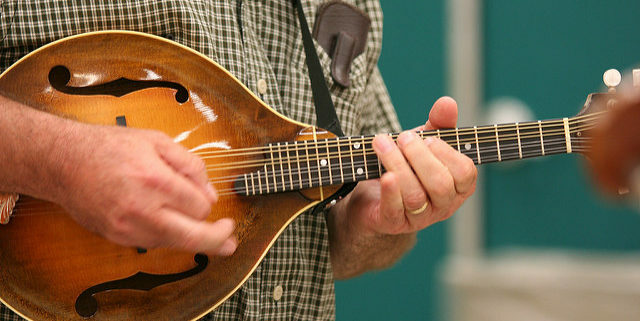 Bluegrass music is infused with a good-time spirit that people of all ages can enjoy. Bluegrass Weekends are a lively time on the farm. We love seeing the area outside the market filled with people tapping their toes, bobbing their heads, and enjoying some good old-fashioned fun. It’s especially entertaining to watch the little ones run up to the front of the crowd, jumping and hopping and wiggling to the fast-tempo tunes. If you’re looking for a family-friendly weekend event, bluegrass under blue skies is the way to go. Throw in a bucket of fresh-picked berries and you’ve got a fine summer day in the making. If you haven’t been out for Bluegrass Weekend yet, don’t miss this upcoming weekend in July. Bring your lawn chairs and spend an afternoon with us. We look forward to sharing the fun with you! https://orrsfarmmarket.com/wp-content/uploads/2016/06/3682769676_9f39ac00b2_z.jpg 426 640 Orr's Farm Market https://orrsfarmmarket.com/wp-content/uploads/2017/03/Orrs_WebHeader_2017-1.png Orr's Farm Market2016-07-26 12:45:032016-06-20 12:56:14Blue Skies, Blue Grass! We hate to interrupt your summer relaxation, but we need to let you know there’s more relaxation ahead. Say what? 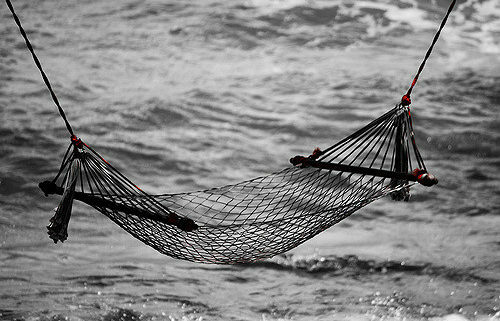 National Hammock Day, that’s what! On July 22, trees around the country will stand in support of this fine holiday. People will swing and sway the day away, in the cool of the shade or under the heat of the sun. What a fun way to celebrate a favorite summer pastime. To make National Hammock Day even better, first hit the kitchen and make yourself a cool, summery drink. Don’t go for the ordinary; take it up a notch and make it a revamped version of a classic. We’ve gathered a few ideas for you. But first, while you’re out and about, get your drink fixins locally—from Orr’s Farm and Market! We have loads of fresh, juicy fruits and a great selection of cool, refreshing veggies that are perfect for your hammock-bound libations. Drink up and relax the day away! Put watermelon chunks and lime juice into a blender. Process on high until smooth. Add sweetener to taste, if needed, and blend again. Pour drink into two glasses over ice. Garnish with fresh mint. Serve. Place ingredients in a 1/2-gallon pitcher and fill with cold, pure water. Allow the water to sit refrigerated overnight (or longer) to allow the flavors to infuse. Strain the water and return it to the pitcher. Keep the pitcher in the fridge to keep it chilled. Drink within a few days. https://orrsfarmmarket.com/wp-content/uploads/2016/06/3711967150_5939938f68_z.jpg 333 500 Orr's Farm Market https://orrsfarmmarket.com/wp-content/uploads/2017/03/Orrs_WebHeader_2017-1.png Orr's Farm Market2016-07-18 13:20:112016-06-20 13:28:43Sway the Day Away! Mark your calendars, folks. There’s a sweet celebration coming up: July 17 is National Peach Ice Cream Day! Peach ice cream is not your usual find at ice cream parlors, festivals, or restaurants. So when you do find it, you know you’re somewhere special. Of course, you could always make your own batch. And since we would never leave you hanging, we happen to have a contest-winning recipe right here for you to try. In a large saucepan, heat half-and-half to 175°; stir in the sugar and salt until dissolved. Whisk a small amount of hot cream mixture into the eggs. Return all to the pan, whisking constantly. Cook and stir over low heat until the mixture reaches at least 160° and coats the back of a metal spoon. Place peaches in a blender, cover and process until pureed. Stir into the custard. Fill cylinder of ice cream freezer two-thirds full; freeze according to manufacturer’s directions. Refrigerate remaining mixture until ready to freeze, stirring before freezing each batch. Allow to ripen in ice cream freezer or firm up in the refrigerator freezer for 2-4 hours before serving. Yield: about 3 quarts. Homemade peach ice cream sounds like a real hot-weather hit. Can you almost taste the smooth and creamy sweetness from here? We think that recipe needs one simple improvement, though. What’s the perfect partner for ice cream? Pie, of course! With flaky crusts and luscious fillings, our homemade pies will make your day. Try doubling up on the sweetness with peach ice cream and our Peachberry Cherry pie. You could get creative and pair it with pecan pie, or one of our many other flavors. Check out our Online Market page for a complete list. The skin contains cancer-fighting antioxidants as well as the digestive aid, fiber. A large peach provides 333 mg of potassium, which helps regulate blood pressure. We hope your week is peachy keen! https://orrsfarmmarket.com/wp-content/uploads/2016/06/Peach-Baskets.jpg 2736 3648 Orr's Farm Market https://orrsfarmmarket.com/wp-content/uploads/2017/03/Orrs_WebHeader_2017-1.png Orr's Farm Market2016-07-12 12:35:052016-06-20 12:43:16Peachy Keen! Mid summer already? Where did the time go? We hope you all had a great Fourth of July holiday. Surely your celebrations involved a berry or two, right? Share your cookout standouts on our Facebook page! We love seeing the unique ways our friends and fans use our fresh berries in their summer dishes. Now that July is here, so is National Blueberry Month! Last week we touched on blueberries, and this week we want to give another shout out to our favorite plump pops of purple. Did you know blueberries are a great source of dietary fiber? Fiber can reduce the “bad” cholesterol, called LDL, which can cause problems for your heart. So let’s get this straight: Blueberries are not only sweet and delicious, but they help keep your ticker in tiptop shape! Good health in a tasty package—that’s a win-win. Check out more delicious blueberry recipes on our Pinterest page! July is full of juicy goodness at the farm. Remember, we’ve got pick-your-own blueberries for a few more weeks. Fill your baskets to the brim, and try not to eat them all before you get home. Save a few for your newest favorite—savory blueberry pizza. Let us know how yours turned out! https://orrsfarmmarket.com/wp-content/uploads/2016/06/Blueberry-Display.jpg 2736 3648 Orr's Farm Market https://orrsfarmmarket.com/wp-content/uploads/2017/03/Orrs_WebHeader_2017-1.png Orr's Farm Market2016-07-05 10:15:082016-07-05 10:15:33The Best Blues! June has been a berry busy month at the farm! The pick-your-own turnout has been great, and we hope you’ll continue to visit us throughout the season. So far our customers have enjoyed strawberries and cherries. Now we’re putting the spotlight on two more delicious summer favorites: blueberries and black raspberries. First things first: Do you know that black raspberries are not the same as blackberries? It’s hard to tell unless you know what to look for: Like red raspberries, the black variety are hollow in the middle, unlike blackberries, which have a white core. Blueberries and black raspberries are unique. They have definitive flavors in delicate packages. With these berries, the skins aren’t as sturdy as you’ll find in a strawberry or cherry, and this makes a difference in how we handle and eat them. For example, you don’t slice or cut blueberries or black raspberries. That’s okay, because who has time for that when you can pop them in your mouth and chomp away! All in all, every berry is delicious in its own right, and we like to highlight the special characteristics of each. Blueberry and Buttermilk Tart: Get the recipe here! Black Raspberry Oat Scones: Take a look at the recipe here! We saved the best for last: Don’t tell the kids, but eating blueberries and black raspberries is good for your health! Both types of berries are high in cancer-fighting antioxidants and have beneficial effects for managing diabetes. Blueberries have been shown to support bone health with iron and zinc and they can help lower blood sugar due to their potassium, calcium, and magnesium content. Because of anthocyanins, which are compounds that give them their nearly black color, black raspberries help maintain eye health and help prevent colon cancer. Now that we’ve told you how our berries are delicious, versatile, and healthy, there’s nothing left except to enjoy. Come on down to the farm and fill your buckets and your bellies! https://orrsfarmmarket.com/wp-content/uploads/2016/06/Berries-.jpg 2000 2000 Orr's Farm Market https://orrsfarmmarket.com/wp-content/uploads/2017/03/Orrs_WebHeader_2017-1.png Orr's Farm Market2016-06-22 12:27:082016-06-09 12:49:15A Juicy June! Welcome to the second week of June! Here at the farm, we’re gearing up for the cherry harvest. Mid June is time for sweet cherries. Later this month, tart cherries will be ready to roll. Due to the frosts this spring, we will have our cherries pre-picked in the market to sell. There will not be enough for the pick-your-own season. Mark your calendars; sweet cherries are expected around June 10 and tart cherries should be here by June 20. Get ready to chomp on cherries! How do you use our produce? From spring through summer and early fall, our fields and market are filled with farm-fresh goodness—berries, fruit, and select veggies. Do you gobble up your stash in one sitting, or do you pace yourself to make it last longer? While we know our goodies—the juicy fruits especially—are hard to resist, we figure you occasionally end up with leftovers. If you use the appropriate methods, you can keep your produce from spoiling too quickly. 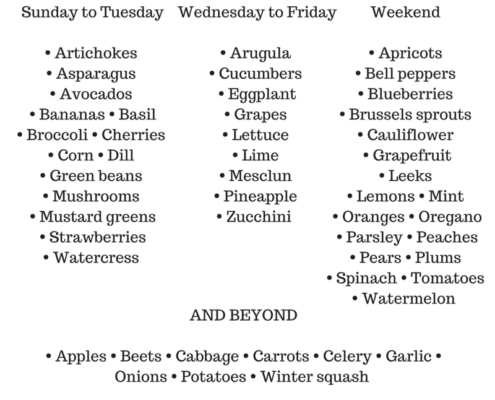 When you buy produce, it’s good to plan ahead how you’ll use it. This way, you can use the most perishable items first. With the items that last longer, you have more freedom with usage. So, for example, if you decide you don’t want sweet potatoes for dinner Wednesday, you’re in the clear because sweet potatoes last a long time. All fruits and veggies aren’t created equal in terms of how long they’ll last. Storage method affects spoilage rate. Some fruits and veggies thrive in cool, dry areas, like the fridge or a dark cabinet, while others need to be kept at room temperature. 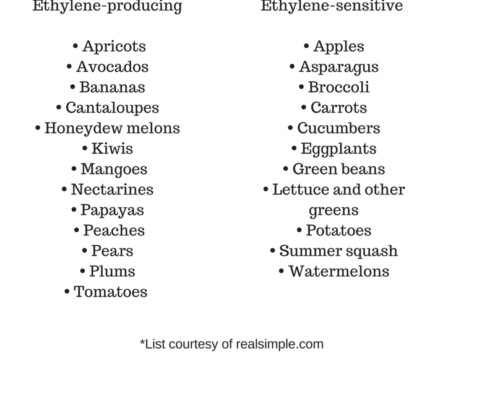 Then there’s something called ethyline gas, which is emitted by some types of produce and creates sensitivity in others. Make sure to keep these groups of produce apart. And never keep produce in a sealed bag—let ‘em breathe! Storing your fruits and veggies isn’t just about spoilage prevention. It also prevents food waste. Did you know that 30 to 40 percent of what is grown and raised in the U.S. rots or is thrown away? That means we essentially toss in the trash a large amount of our food. As farmers, we know the hard work that goes into producing food. We consider it part of our job to help educate our friends and neighbors about the importance of agriculture. So we hope we’ve helped you learn how to keep your food fresh longer. Here’s to more in your belly, and less in the trash! https://orrsfarmmarket.com/wp-content/uploads/2016/06/Orrs-1.jpg 2000 2000 Orr's Farm Market https://orrsfarmmarket.com/wp-content/uploads/2017/03/Orrs_WebHeader_2017-1.png Orr's Farm Market2016-06-10 08:58:122016-06-09 09:47:46Spoiler Alert!